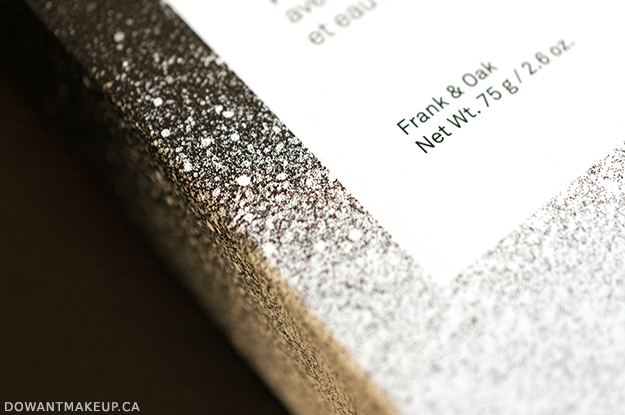 Balsem is the recent-ish men's personal care line launched by Frank & Oak, a Montreal-based men's clothing and accessories store. The Balsem line includes face cleanser, moisturizer, hair styling products, and extremely fancy towels. Their clothing aesthetic is minimalist and straightforward, and that's reflected in Balsem too. However, behind the simple black and white packaging are effective products with some fairly impressive ingredients, at least when it comes to the Face Moisturizer and Shave Cream. In terms of formulation, Face Moisturizer includes shea butter and soybean oil to moisturize; shea butter is something I often look for in products for dry skin because it's so hydrating. I was surprised to see it here since my experience is that shea butter products are a bit heavier, yet this moisturizer feels pretty light. Polyacrylamide is second in the ingredients list behind water; this is a "film-forming" agent with water-binding properties. The latter third of the ingredients lists Betula alba (birch bark) juice and Epilobium angustifolium (willow herb) flower/leaf/stem extract. I wasn't able to find anything about specifically birch bark juice, but there is a study here about birch bark extract improving the skin barrier. Willow herb extract has anti-irritant and antioxidant properties. There's other antioxidants in the formula with the presence of retinyl palmitate (vitamin A), ascorbyl palmitate (vitamin C), and tocopherol (vitamin E). Since antioxidants are sensitive to light and air, the opaque tube packaging helps keep the formula stable and effective. 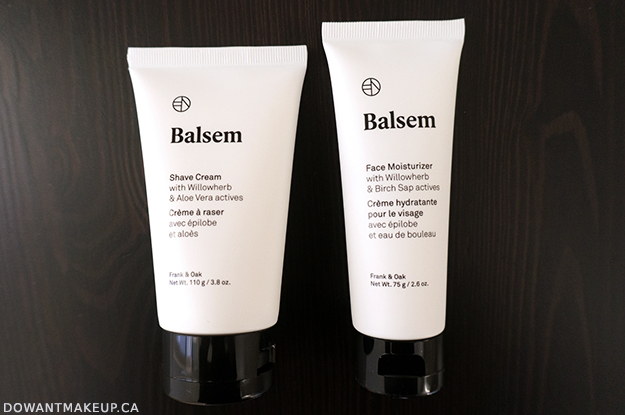 Balsem Shave Cream has a luxuriously thick texture to help create a comfortable shave. It includes triglycerides, sunflower seed oil, and aloe leaf juice to moisturize. Like the Face Moisturizer, it also has willow herb extracts, but I am not sure how effective they are in a product that gets rinsed off fairly quickly. Bf reported that shaving was much smoother compared to his usual drugstore shaving cream. A problem I've noticed with his usual cream is that his skin can become visibly dry after shaving; with the Balsem Shave Cream, his skin was flake-free and surprisingly hydrated. I could feel where he applied the shaving cream, because those areas of his face felt smoother and more moisturized compared to the rest of his face. 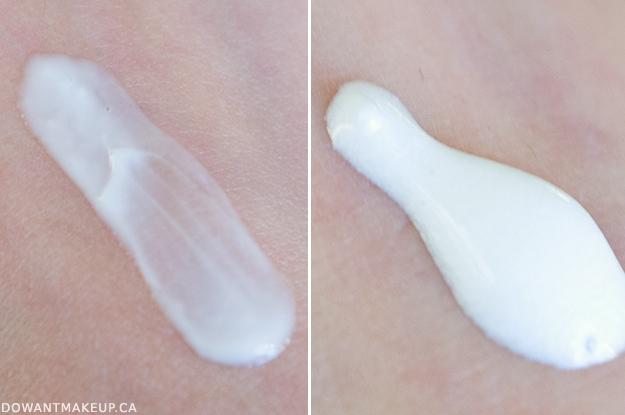 You can see how thin the Face Moisturizer (left) is in this swatch, in contrast to the thick, creamy Shave Cream. 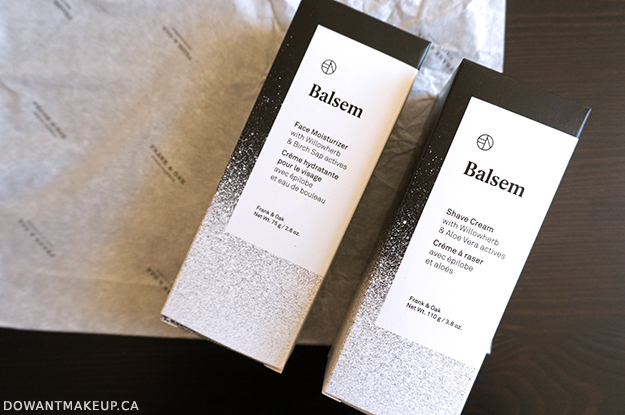 Overall, the two Balsem products I received proved to be pretty good! 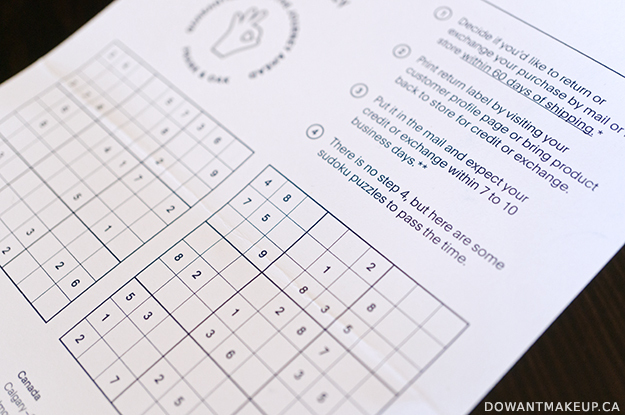 Face Moisturizer caught me by surprise with an impressive ingredients list that contained emollients and antioxidants. Maybe what I've been most pleased by, is the fact that Balsem created something that bf actually wants to use. Shave Cream is kind of a given, but he's actually been using the Face Moisturizer daily and his skin is looking better as a result! These two are great products to check out for effective yet fuss-free men's care, particularly if you have dry skin. 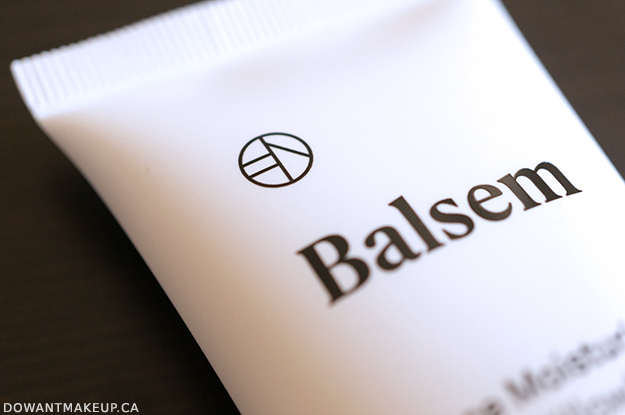 FYI Balsem products all carry the same signature scent: a lightweight crisp, woodsy, conventionally-masculine scent. Bf and I like it, but it may be a turn-off if you are sensitive to fragrance (scent-wise or to the added ingredient itself), or if woodsy scents just aren't your cup of tea.